The Bluff is a brand new 2015 one room log cabin with a loft that will be complete by April 1st. 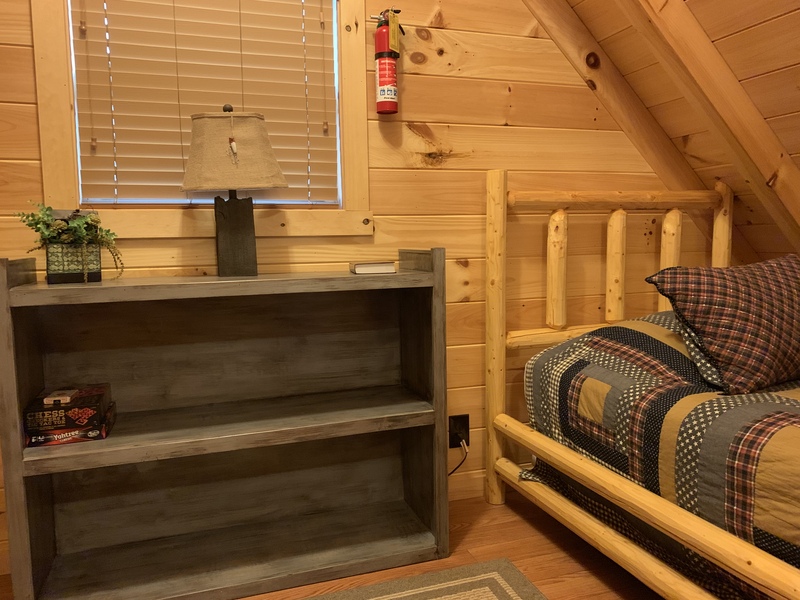 It is one of three cabins built together to accommodate from 2 to 15 people. Rent just one cabin, or rent all three. 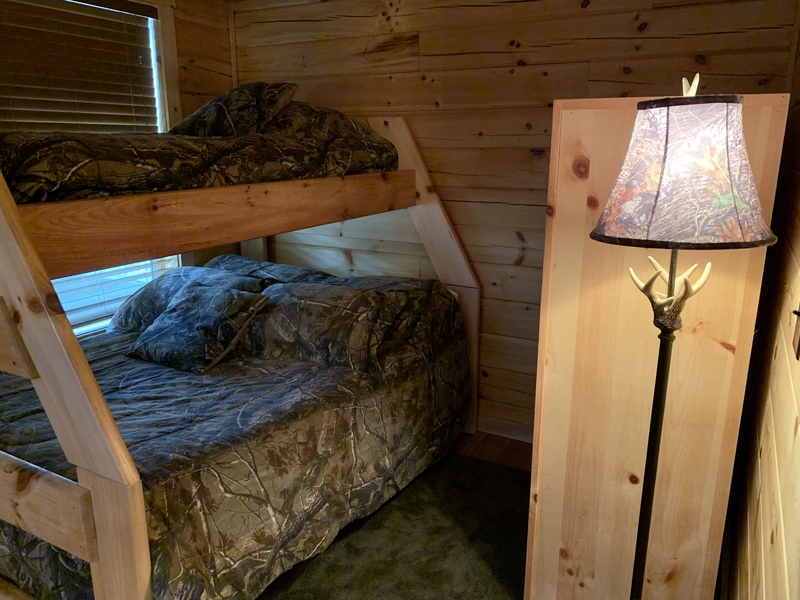 Each cabin features a full / twin bunk downstairs with 2 twin beds in the loft. 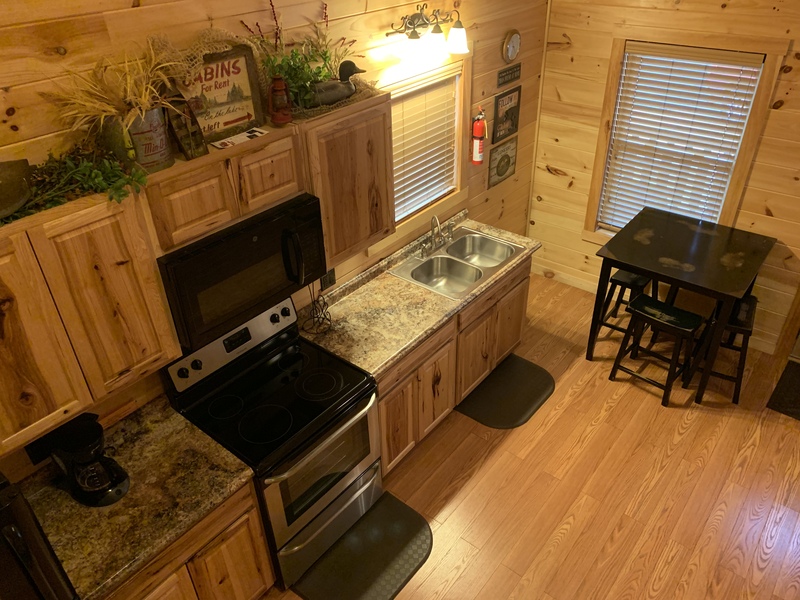 The kitchens are complete with stove top range and oven, full size fridge, microwave, toaster, and coffee maker. 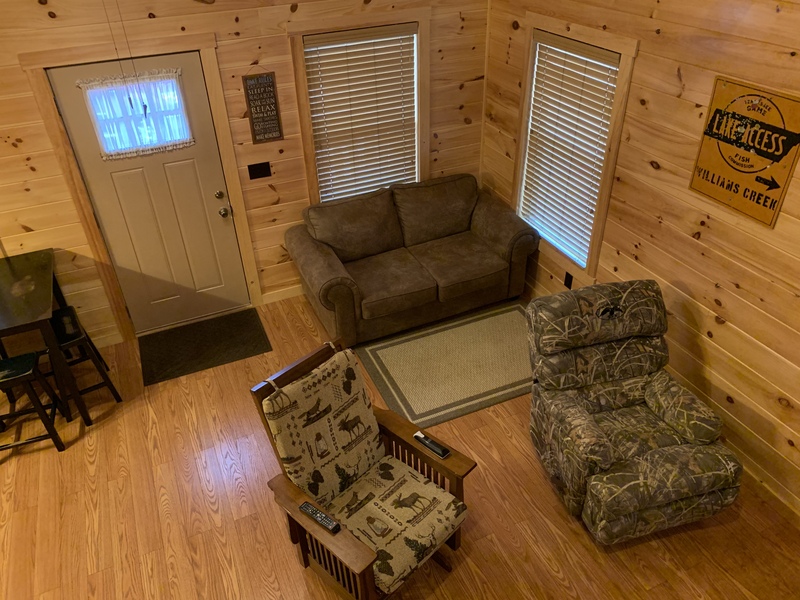 The Bluff is equipped with satellite television, heat, and air conditioning. Just outside you have a picnic table, gas grill, and fire pit. 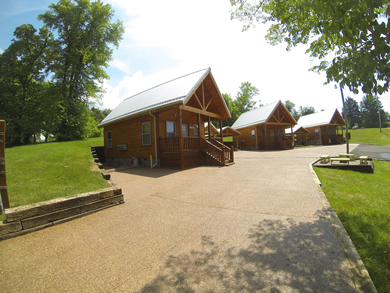 The Bluff is a perfect get away cabin for your family. Check the website and facebook often for pictures and updates. The Bluff is pet friendly for an additional fee of 75.00.